4. Wee, Y. C. and Hsuan, K. 1990. An illustrated Dictionary of Chinese Medicinal Herbs. Times Edition and Eu Yan Seng Holdings Ltd: Singapore. 5. Wiart, C. 2000. 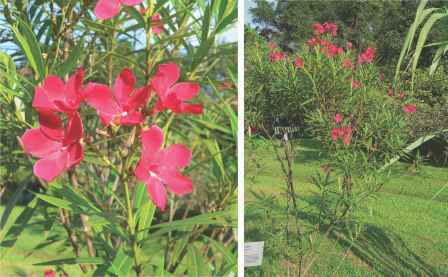 Medicinal plants of Southeast Asia. Pelanduk Publications (M) Sdn Bhd: Malaysia. 7. Suzuki, H., Morita, H., Iwasaki, S. and Kobayashi, J. 2003. Tetrahedron 59: 53075315. 8. Suzuki, H., Morita, H., Shiro, M. and Kobayashi, J. 2004. Tetrahedron 60: 24892495. 9. Morita, H., Suzuki, H. and Kobayashi, J. 2004. Journal of Natural Products 67: 1628-1630. 10. Morita, H., Shimbo, K., Shigemori, H. and Kobayashi, J. 2000. Bioorganic and Medicinal Chemistry Letters 10: 469-471. 11. Hase, K., Kadota, S., Basnet, P., Namba, T. and Takahashi, T. 1996. Phytotherapy Research 10: 387-392. 12. Duke, J. A. and Ayensu, E. S. 1985. Medicinal Plants of China, volume one and two. Reference Publications, Inc.: United States of America. 13. Jain, S. K. and DeFilipps, R. A. 1991. Medicinal Plants of India, volume one and two. Reference Publications Inc.: United States of America. 14. Keys, J. D. 1976. 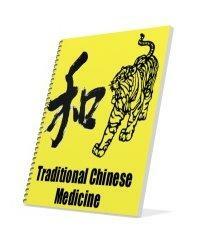 Chinese herbs: their botany, chemistry, and pharmacodynamics. Charles E. Tuttle Co. of Rutland: Vermont & Tokyo, Japan. 15. Gnanamani, A., Shanmuga Priya, K., Radhakrishnan, N. and Babu, M. 2003. Journal of Ethnopharmacology 86: 59-61. 16. Kobayashi, J., Suzuki, H., Shimbo, K., Takeya, K. and Morita, H. 2001. Journal of Organic Chemistry 66: 6626-6633. 17. Hayakawa, Y., Fujii, H., Hase, K., Ohnishi, Y., Sakukawa, R., Kadota, S., Namba, T. and Saiki, I. 1998. Biological and Pharmaceutical Bulletin 21: 1154-1159. 18. Vetrichelvan, T., Jegadeesan, M. and Devi, B. A. 2002. Biological and Pharmaceutical Bulletin 25: 526-528. 19. Hase, K., Kadota, S., Basnet, P., Takahashi, T. and Namba, T. 1996. Protective effect of celo-sian, an acidic polysaccharide, on chemically and immunologically induced liver injuries. Biological and Pharmaceutical Bulletin 19: 567-572. 20. Hase, K., Basnet, P., Kadota, S. and Namba, T. 1997. Planta Medica 63: 216-219. 21. Iwalewa, E. O., Adewunmi, C. O., Omisore, N. O., Adebanji, O. A., Azike, C. K., Adigun, A. O., Adesina, O. A. and Olowoyo, O. G. 2005. Journal of Medical Food 8: 539-544. 22. Priya, K. S., Arumugam, G., Rathinam, B., Wells, A. and Babu, M. 2004. Wound Repair and Regeneration 12: 618-625. 23. Perry, L. M. 1980. Medicinal plants of East and Southeast Asia: Attributed properties and uses. The MIT Press: Cambridge, Massachusetts and London.